Handy wall-mountable coat hook provides a decorative space-saving solution. The top large hook is designed for coats and sweaters. Smaller, bottom hook is for purses, hangers or umbrellas. 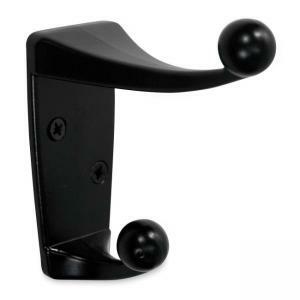 Coat hook is made of metal and includes mounting hardware.